Just Property Worcester is a keystone real estate company that occupies a sizable percentage of the property market in Worcester. We are an established franchise that has quickly become one of the most respected property service companies in Worcester. Despite the challenging property market, we have presented growth and success. Although we only recently opened our doors in Worcester, our team of professional real estate agents has a long and established experience in Worcester. Breede Valley incorporates some of the most valuable and productive agricultural land in the country. It is the third largest contributor to the district’s GDPR. The economy is relatively diversified, with the two biggest sectors being the agricultural sector and wholesale and retail trade sector. 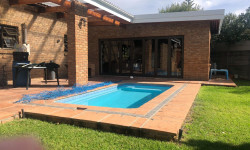 Situated on the N1 national road, Worcester lies on the main route to and from Cape Town, Johannesburg and Port Elizabeth, providing the region with significant locational advantages. Breede Valley is one of the largest wine-producing areas in the country. The Hex River Valley produces the largest annual quantity of table grapes in the southern hemisphere! It also hosts one of the biggest pre-cooler in the Southern hemisphere as well as the winery with the longest harvest season in the world!. · Tourism (for the development of events and conferences) and game farming and extra-mural facilities. 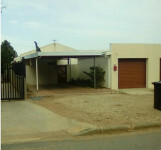 Unit 15, Drosdy Centre, Worcester, Western Cape, 6850.